Office Hours: 10am - 4pm Monday - Friday (By appointment only Saturday & closed on Sunday). 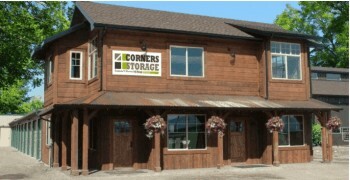 4-Corners Self Storage is locally owned and operated. We are located in the heart of the Gallatin Valley, centrally located between Bozeman, Belgrade and Big Sky. We have nice wide aisles between our storage buildings allowing the storage units to be easily accessible by moving vans, including semis and easy outdoor storage access to store and manuver RV's, boats and automobiles. Tenant Access Hours: 6:00am - 10:00pm Daily (Monday - Sunday). Our professional management team and the 4-Corners Storage facility staff are ready to assist you with your storage needs. Secure online credit card payments, automated credit card billing and online inquiries and registering are just a few of the streamline services we provide our customers and prospective tenants. Our convenient location is just a one mile west of the 4-Corners intersection. Feel safe and secure with our video security system. Enjoy a cup of coffee, tea or water in our friendly reception/office area. Visit us online or call today for current specials, discounts and great rates at 4-Corners Storage. Winter, Spring, Summer or Fall our friendly staff is here to help you with your storage needs and to answer questions you may have, so give us a call and find out why 4-Corners is not the average storage facility, reserve your storage unit with us today! Click to here to "like us" on facebook! Sign on to your account. Pay your bill online. Create an account. Forgot your password?